My slight disdain for the colour brown began when I was a kid in art class…when mixing paints it was all to easy to mix too many colours and end up with a dirty brown colour…. and it happened to me all to frequently. 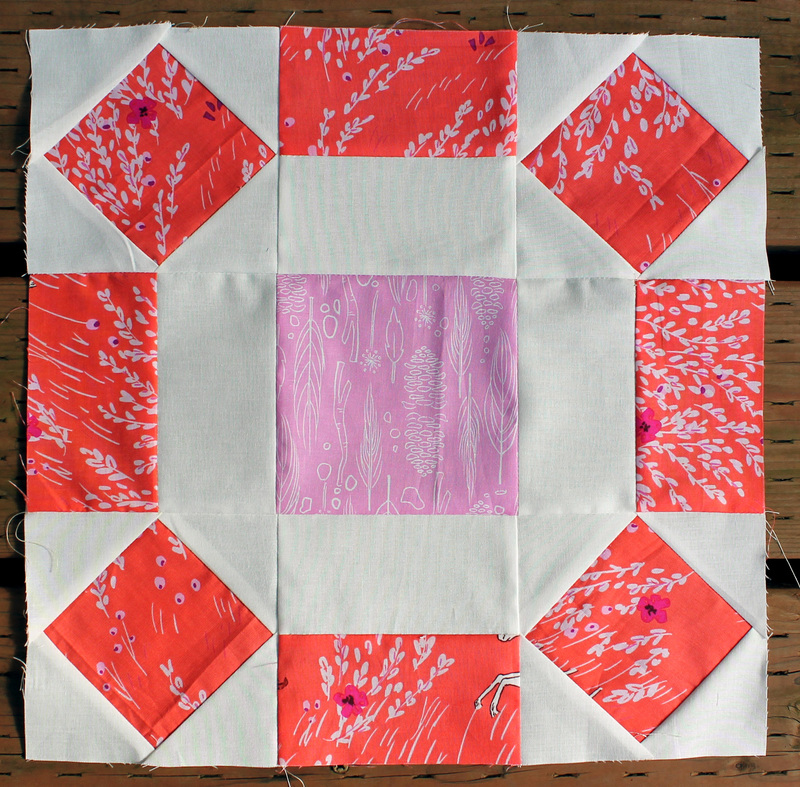 You do not have the same problem when making quilts, but I was still resistant to using brown at all. In traditional quilting brown has long been considered a neutral colour, but Modern Quilters on the whole tend to be wary of it. 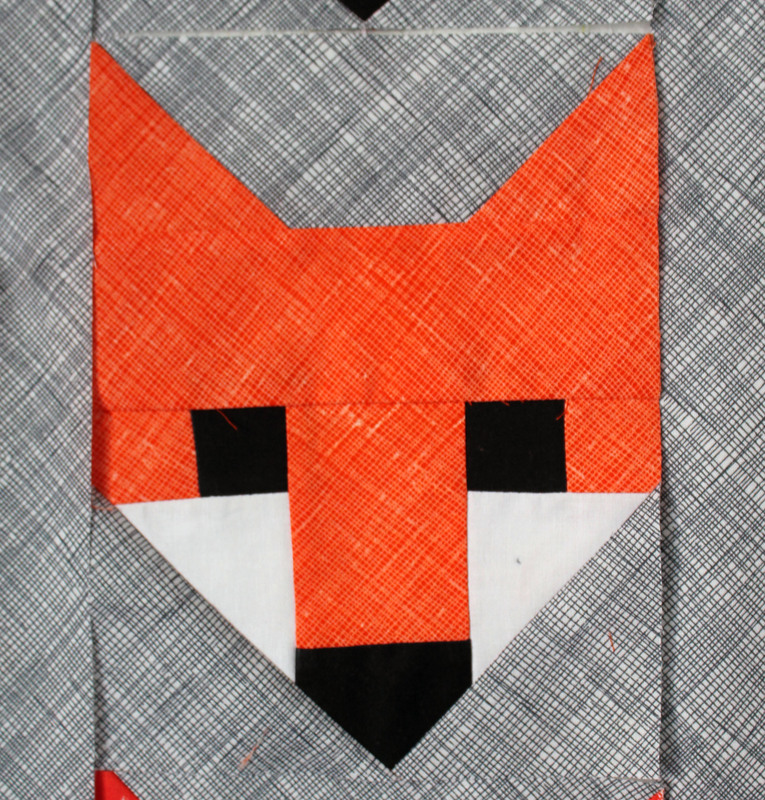 Yep I made a scrappy improv quilt using my brown scraps and a touch of orange… and it was an interesting experience. I forgot how many fabulous fabrics Heather Ross has done in brown… I used her seahorses, butterflies, octopus and plants in this quilt. On of my other favorite designers, Lizzy House, also has done some lovely browns… with mice and cats and of course my all time fav – Pearl Bracelets. And in between all that novelty goodness is a eclectic collection of prints including a handful of batiks. A red based brown with teal…. And the classic brown and baby blue (not dissimilar to one of this years Pantone colours). So you have been warned that there may be more brown appearing in this feed. So is there a colour you have in your stash that you avoid? 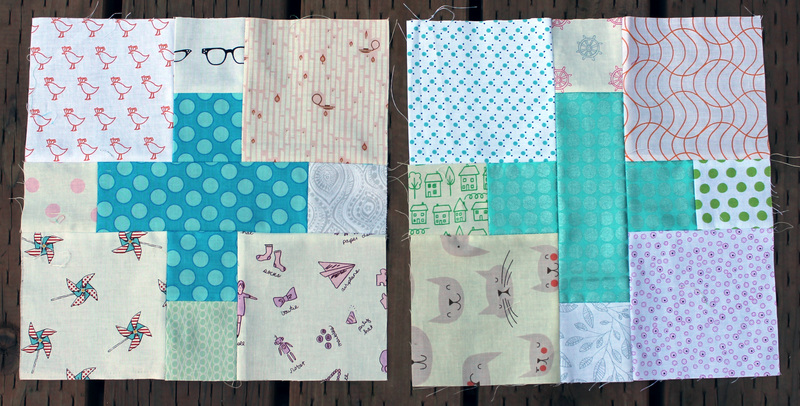 I have been surprised how quickly and easily these blocks come together. After selecting my fabric and precutting everything it has been a fun process of chain piecing and cutting and chain piecing some more. 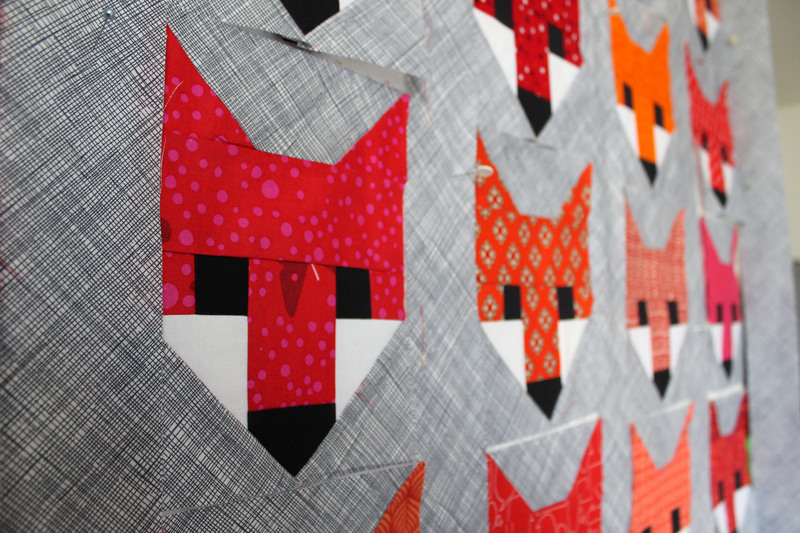 The foxes I love the most are the ones with striking patterns… it was such a fun process to audition fabrics, thinking about what sort of foxes they would make. 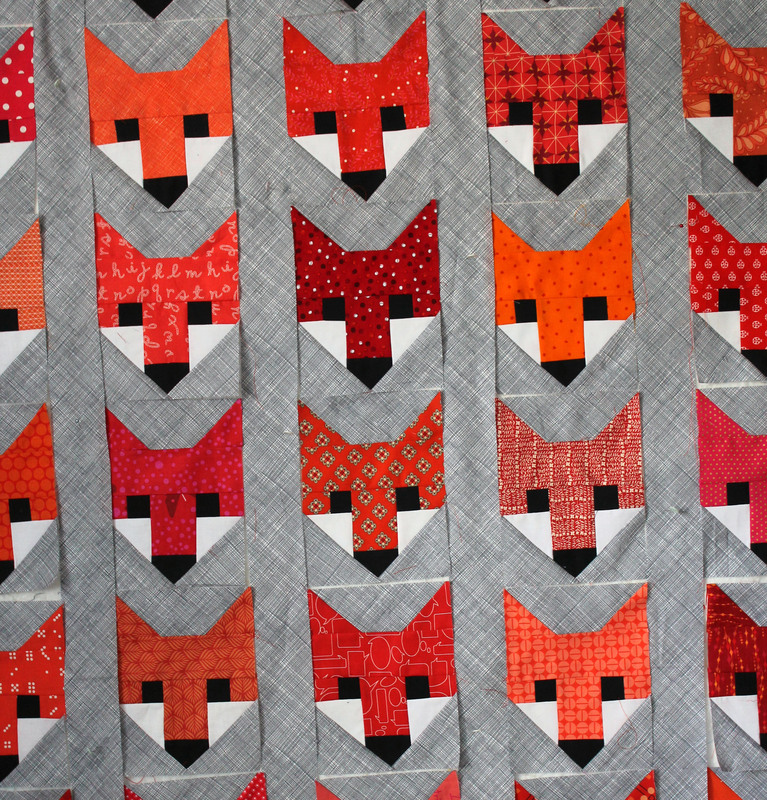 I have only a few more foxes to go before I have them all done. 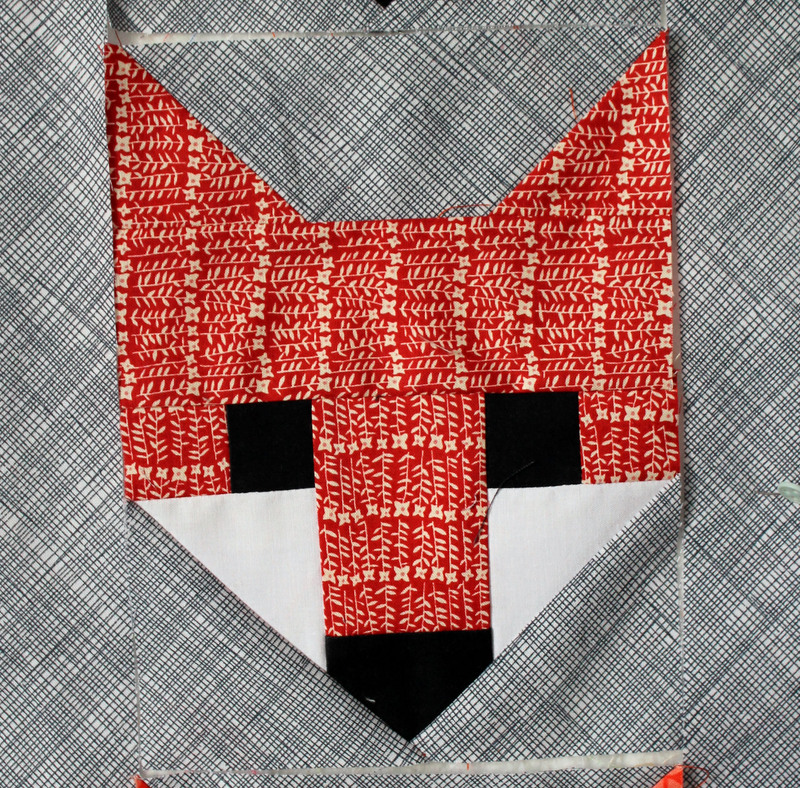 For the background fabric I went with Hatch fabric from Time Treasures in Coal…and I love how it makes the foxes pop. 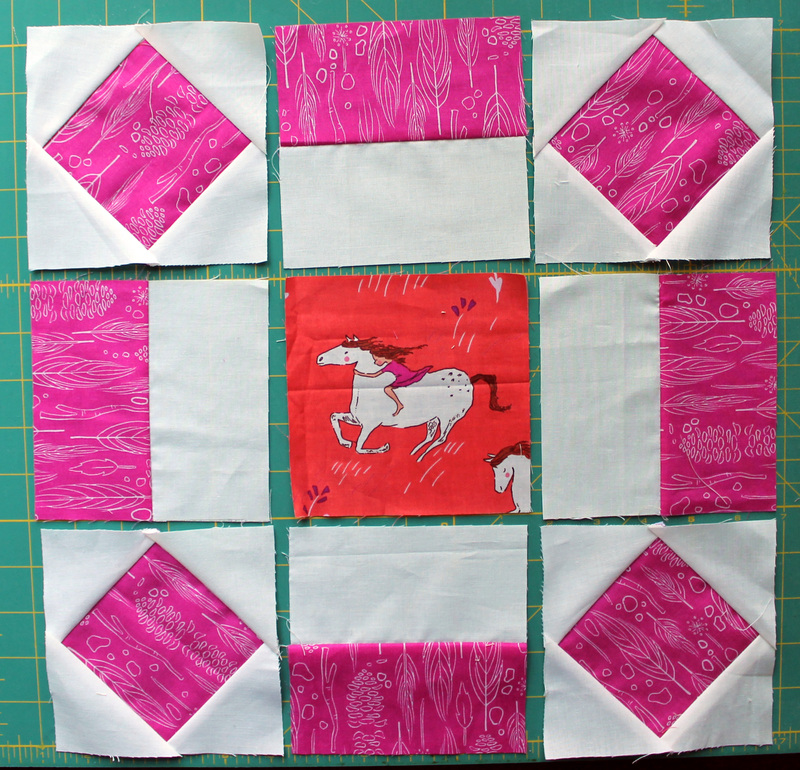 I have a few weeks to get this quilt finished so I am heading back to the sewing machine to finish up the last of the blocks. 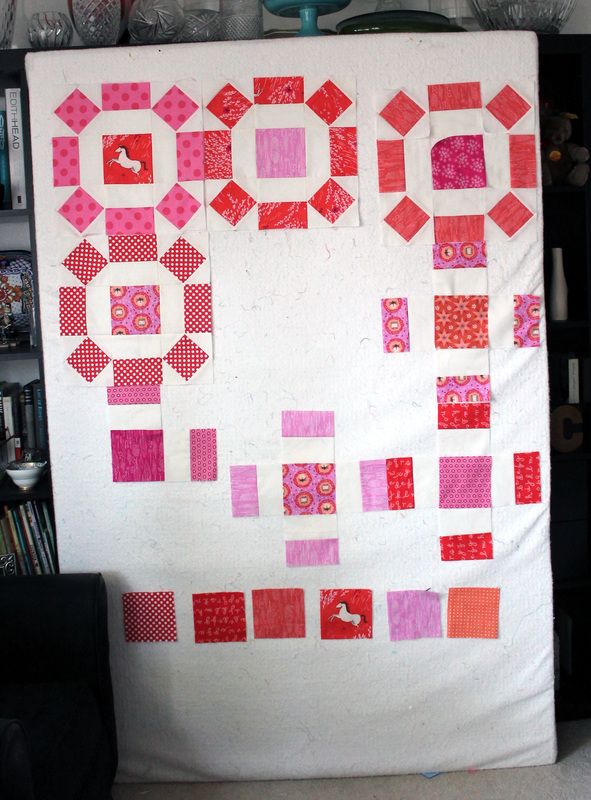 I really seem to like working up against a deadline… but as a friend kindly reminded me the other day wedding quilts can be given after the wedding. So how late do you think is too late for a wedding quilt? Yep I have been making more curved blocks! 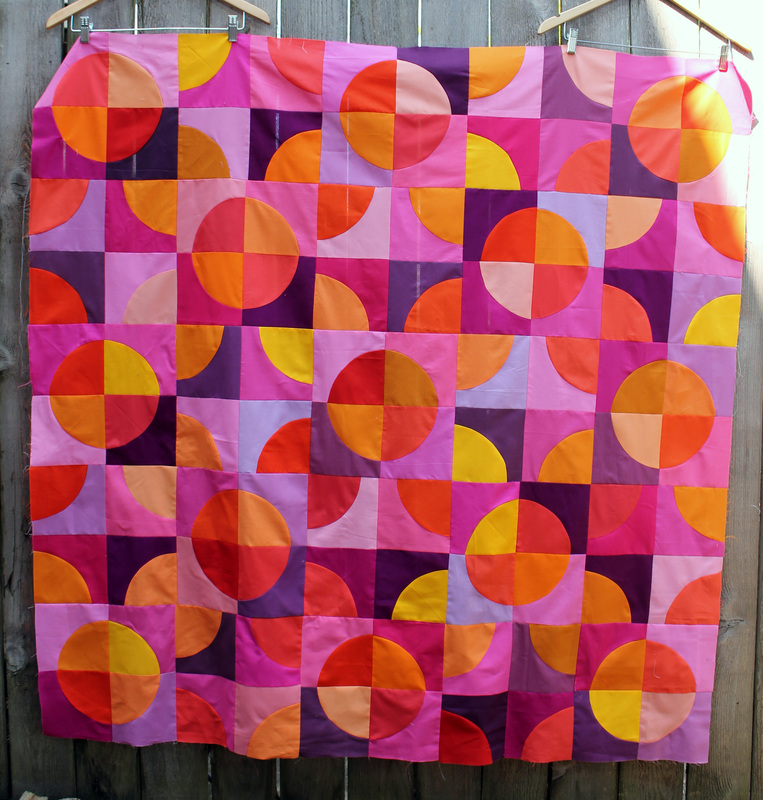 It is not my fault really…you see after cutting out this quilt (you can read about the original crazy here..) I realised I had a whole collection of pink/purple quarter circles… what is a girl to do but make more blocks out of the scraps. 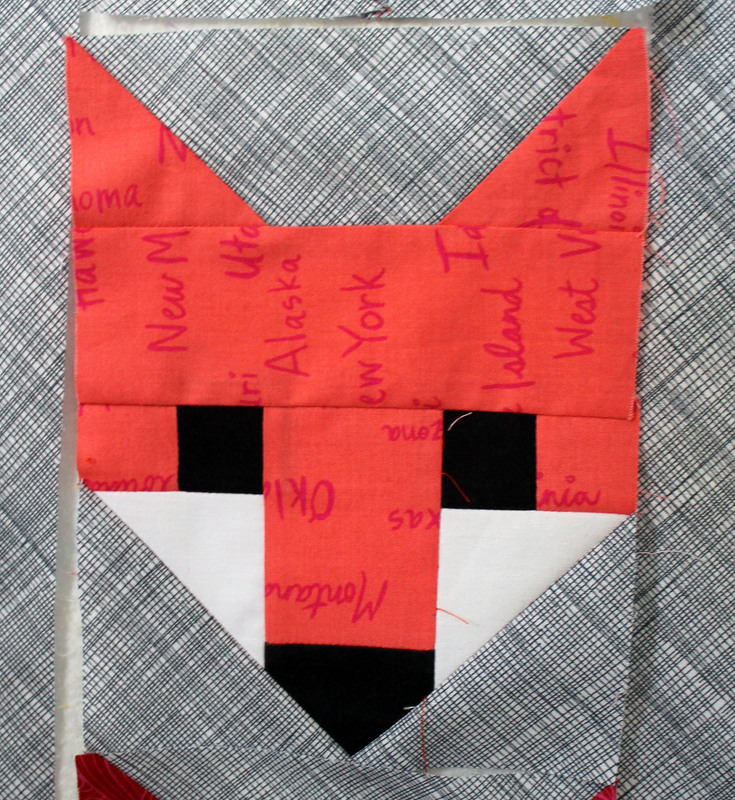 I played a little with proportions on this block, making the black and white background blocks larger than the background blocks of the previous quilt. I think the solid circles hold their own well against the scrappy. I also discovered that the smaller the circles get the harder the curved sewing becomes. 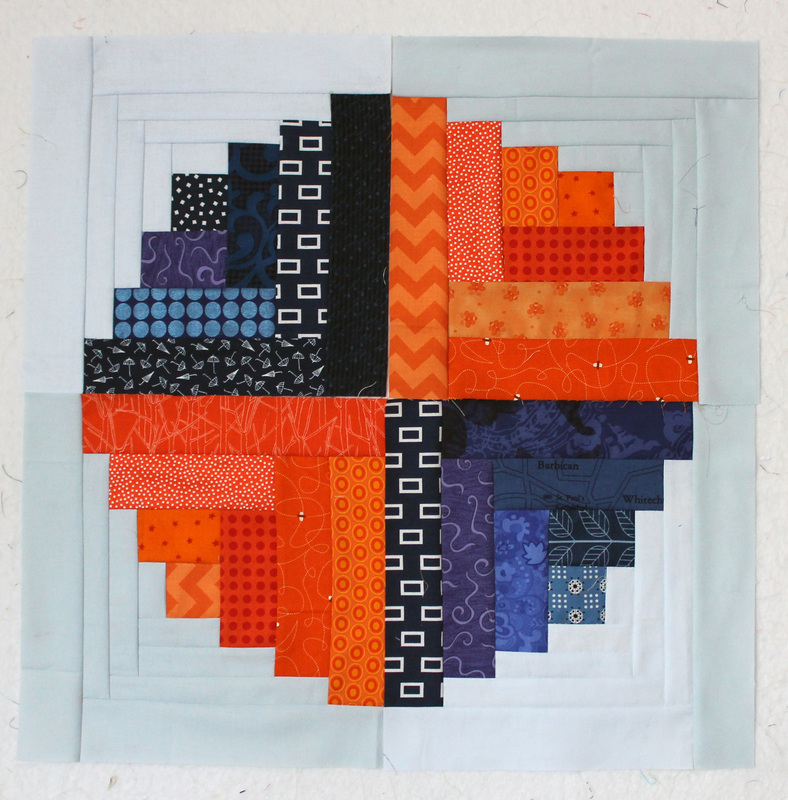 This curved block is 11 inches finished, with the full circle being 8 inches in diameter. 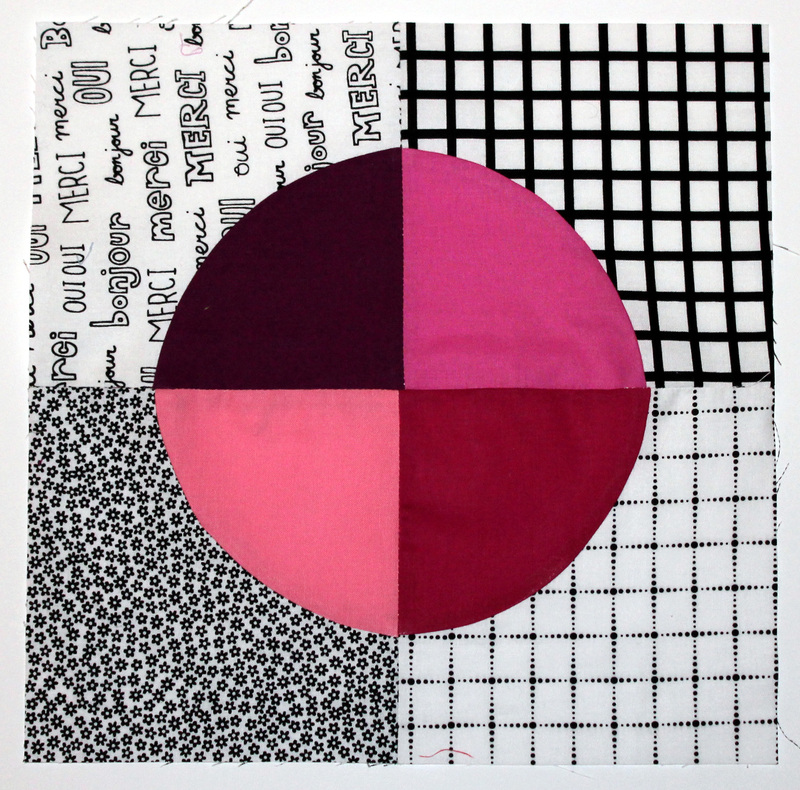 Now of course I have a pile of black and white quarter circles, which are going to become there own quilt… yes it is a rabbit hole of curves but I already have a cunning plan for the latest scraps… I just need the time to implement it! 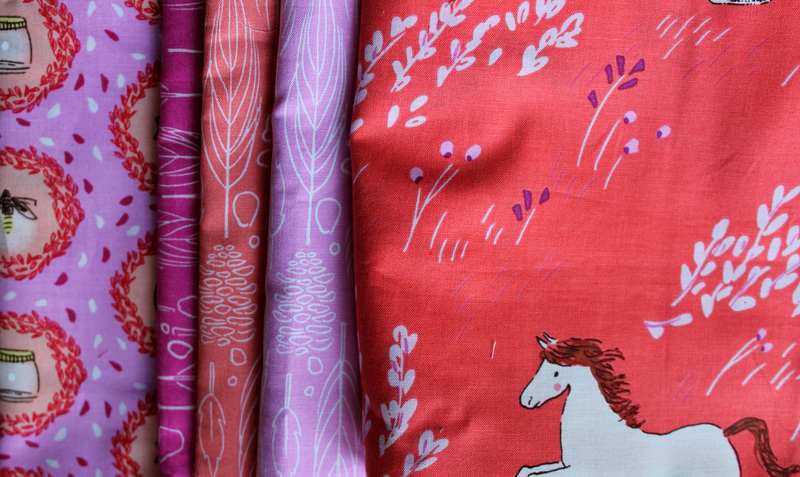 This week I have been playing with a selection of the Wee Wander’s fabric range by Michael Miller. I love this fabric and have had a blast playing this week. 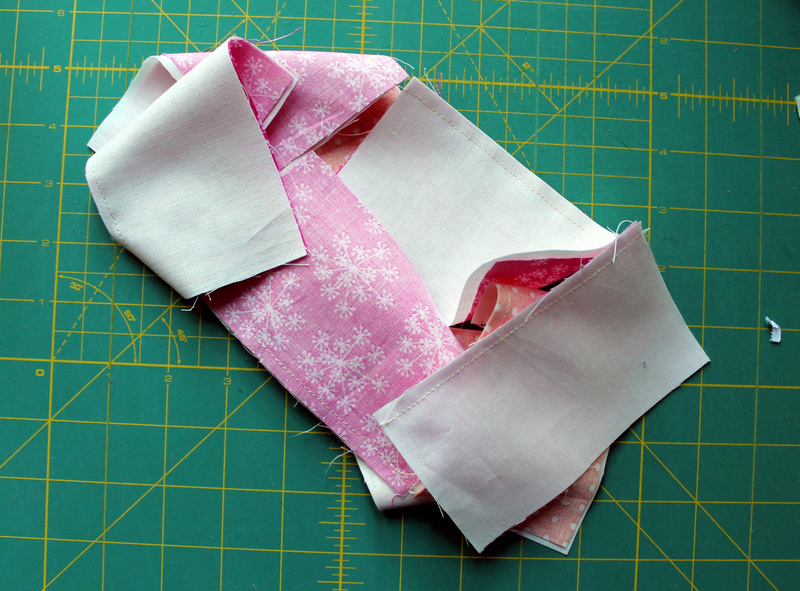 Using the fabric for inspiration I pulled supporting fabric from my stash and ended up with this lovely bundle. 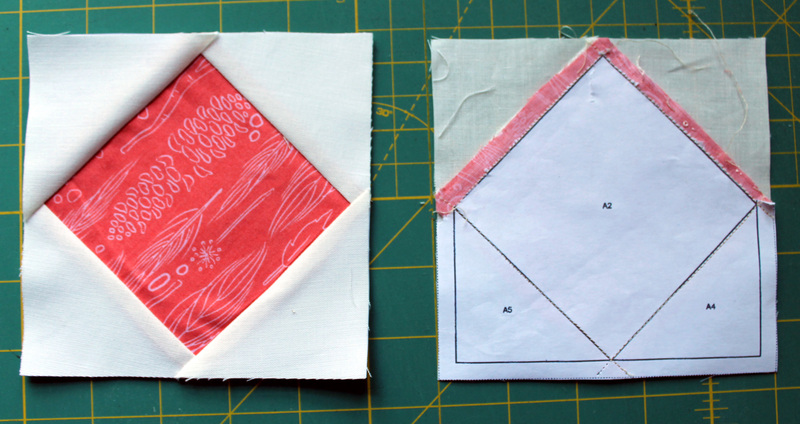 I found this block, and great instructions on the Dont’ Call me Betsy site. I went with the traditional block layout but no matter what layout you use, it is an easy block that is made up of three units. 3. 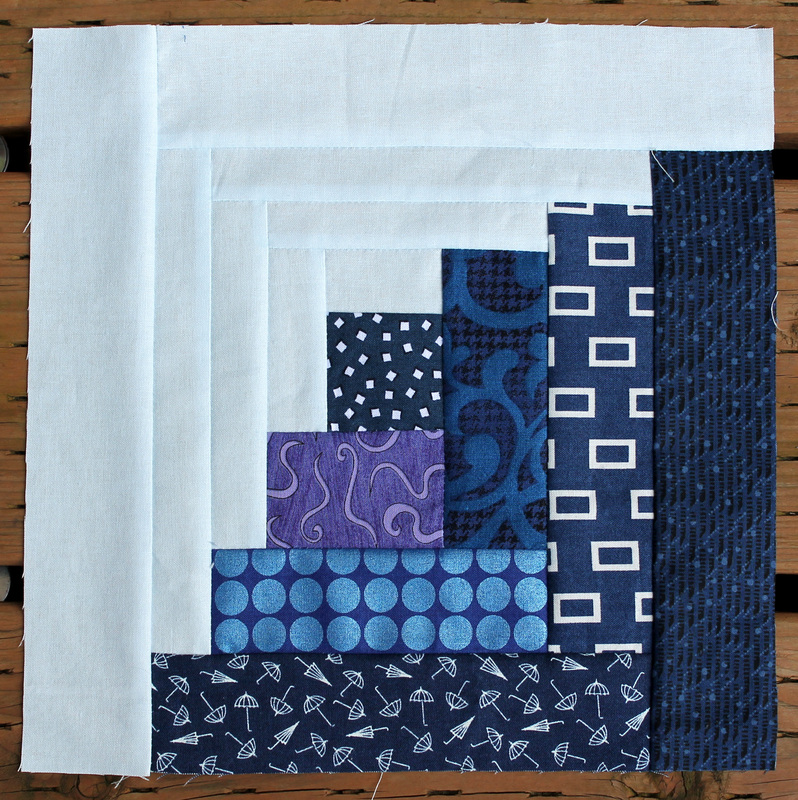 A square in square block, that is paper pieced, but can be done traditionally as well. For my blocks I removed the paper from this unit before I sewed the block together (a first for me, but it worked perfectly). These units are then laid out to make a finished 12 1/2 inch block. 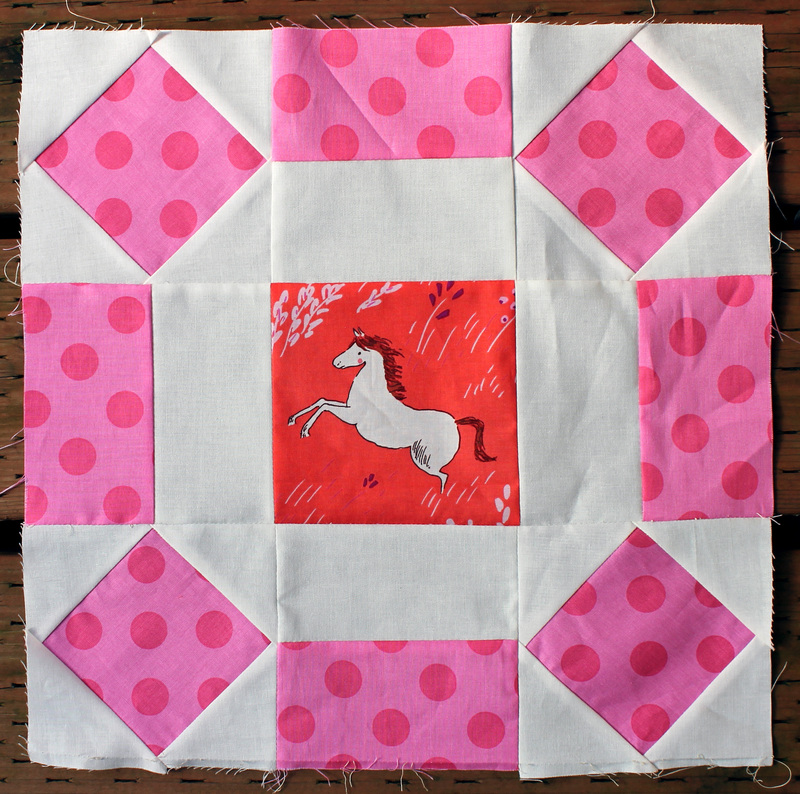 I must admit for my block I enlarged the block slightly to room for the horse blocks. My unfinished block is 14 1/2 inches square. and as the design wall shows, a number in process. I am determined today not to be distracted by the sun…or the cat… of the World Cup. AUGH! I can not believe that June is nearly over…. this year is slipping away way to fast. It was with a small amount of panic that I realised this week that I was running out of time to finish up some of my Bee blocks, so armed with a pile of fabric, my iPad and a caffeine enriched beverage I set to work. I have not done a cross block before and loved how easy it was to do. I got a little carried away with this block and made a few extra. 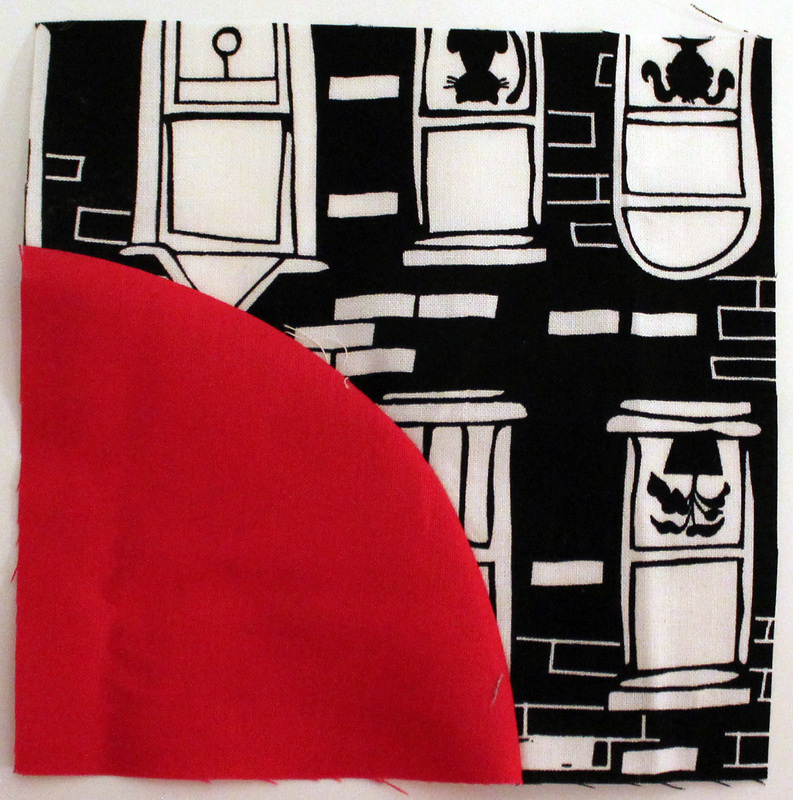 I used Rachel from Wooden Spoons easy dimensions to make the block…plus lots of starch! 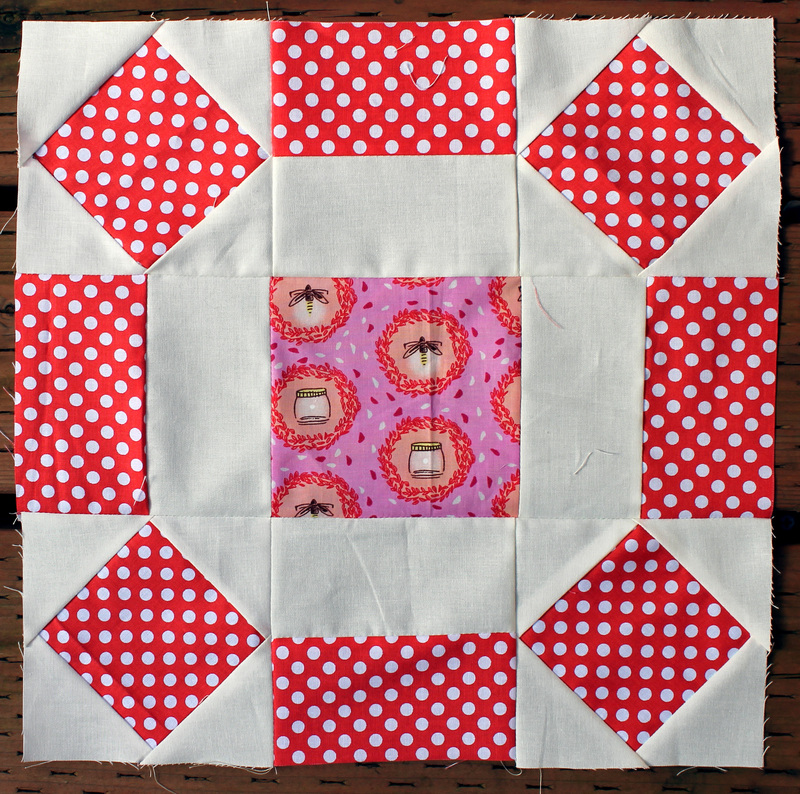 The final lot of Bee blocks I got done this week is a repeat of a block I did last year…. Yep the mini flying geese crazy is back. 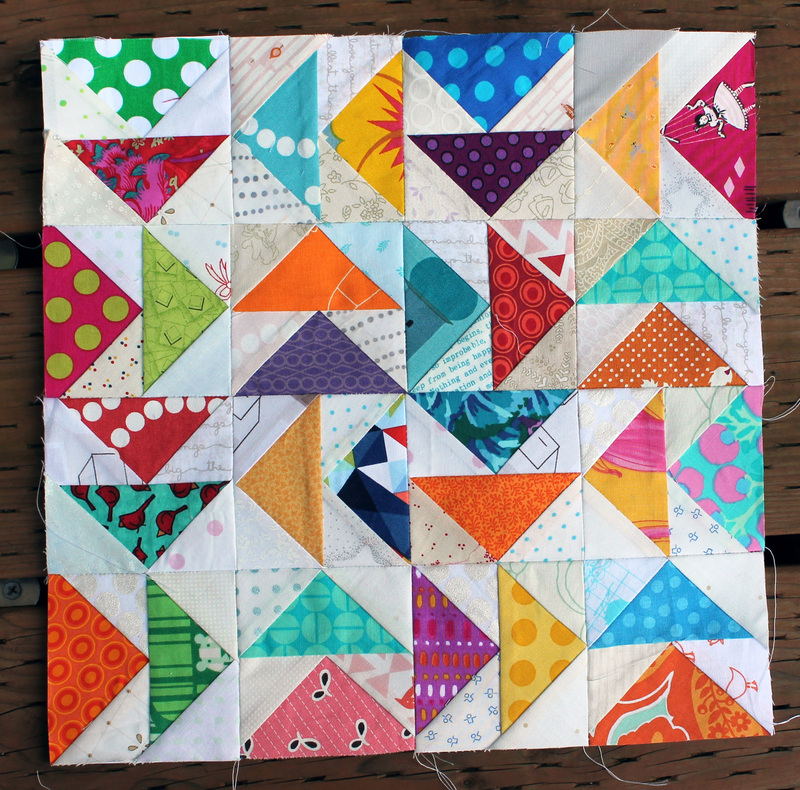 This month it was Stephanie from Quarter Incher’s turn to be Queen of our ScrapBeeLicous Bee, and she choose the Liesl Made’s Flying Geese Block. Yipee…. 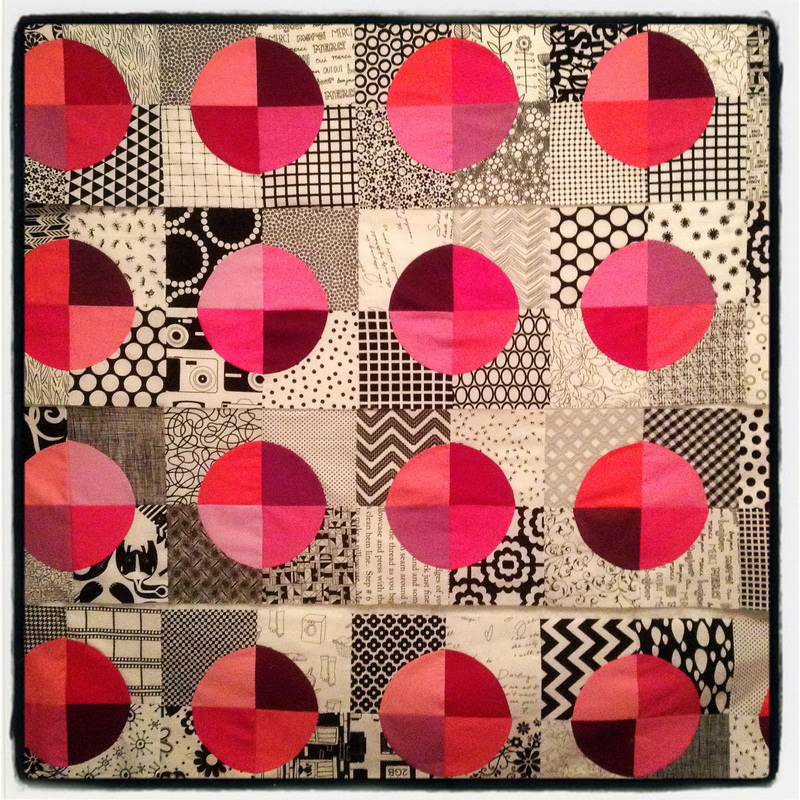 So I retooled my paper piecing pattern and set to work raiding my scrap stash. 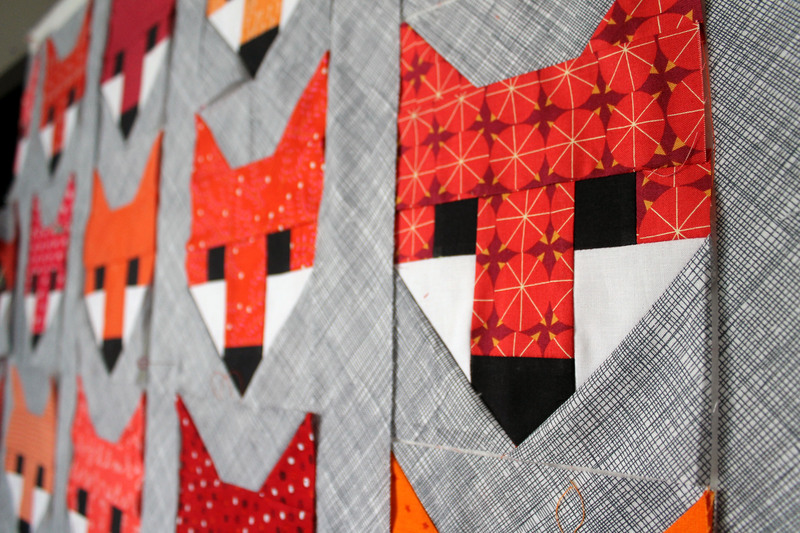 I actually think the only way to make this kind of quilt is to do it as part of a Bee (and to paper piece ti!). 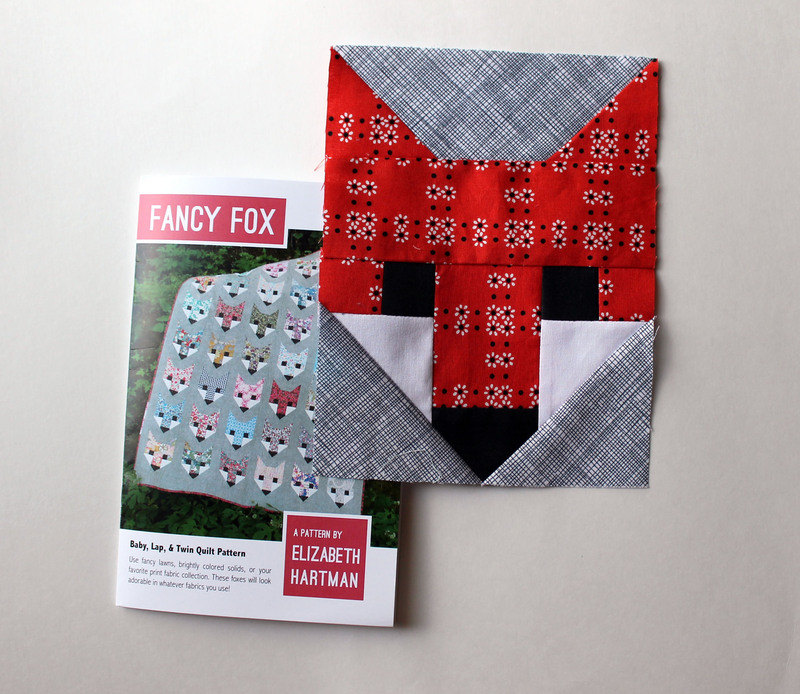 There is no way you want to be making more than a few of these blocks… okay there is no way I could make more than a few of these blocks and remain sane! 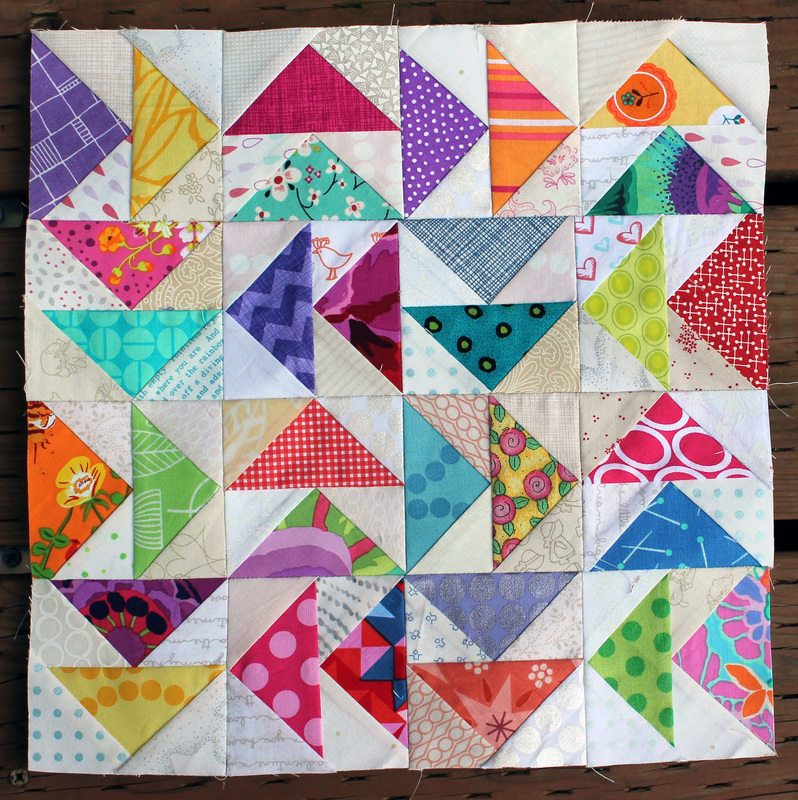 As it is Wednesday there is only one thing left to do….link up with Lee at Freshly Pieced for WIP Wednesday.